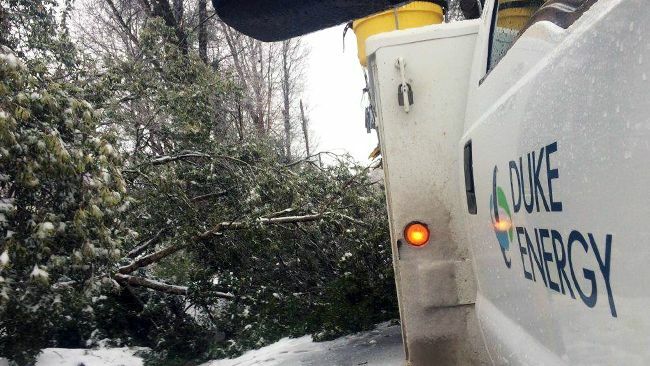 CHARLOTTE, N.C. -- The aftermath of a winter storm that rolled through the Carolinas Friday has Duke Energy workers restoring power to more than 150,000 customers remaining without electricity. 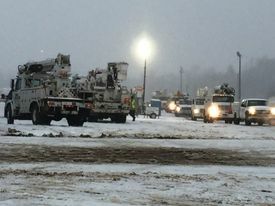 As many as 7,000 workers responded to snow, sleet and freezing rain Friday as a major winter storm moved north through the company's system in North Carolina and South Carolina. The company has already restored more than 270,000 outages. 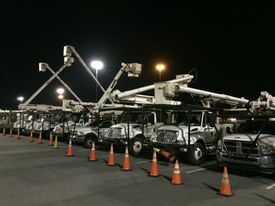 "Our crews are working non-stop to restore power," said Lloyd Yates, executive vice president, Market Solutions, and president of Duke Energy Carolinas. "We are confident the resources we have in the field today will make a huge impact on getting power back for our customers." Although most customers will be restored earlier, all outages should be restored by Monday at 11 p.m. High winds or continuing bad weather could slow work and lead to additional outages. Check the company's outage site for specific restoration times. These updates should be available later this afternoon. Yates said restoration will be challenged by the extreme working conditions. He added the company is moving crews from non-affected areas to harder-hit regions today. Some of the hardest-hit areas are in Wake, Harnett and Johnston counties in North Carolina; and Greenville County in South Carolina. 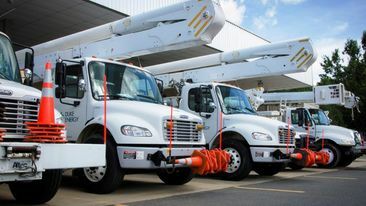 Friday night, the company experienced problems with its outage reporting systems – causing customers difficulty when reporting outages or getting updates from the company. "We apologize for any frustration and inconvenience this caused customers," added Yates. Please continue to report your outage at 1-800-POWERON or 800-419-6356 .